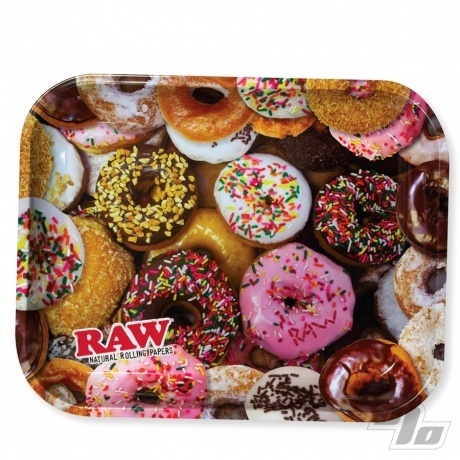 The RAW Donuts Rolling Tray is yet another solid rolling tray brought to you by RAW Rolling Papers. Fill up your RAW cones as usual but try not to drool. This rolling tray is delicious. 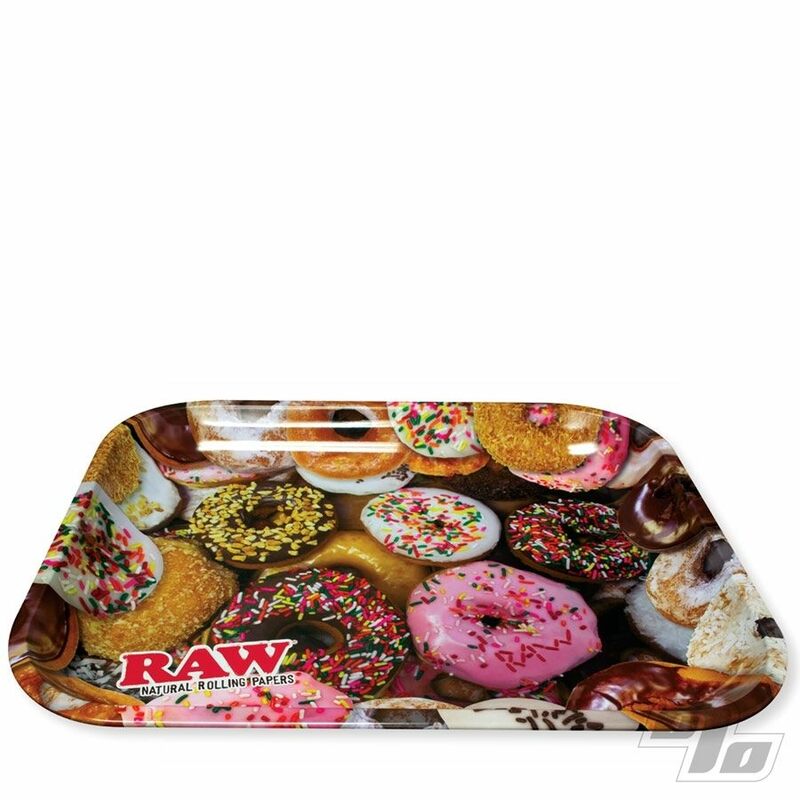 RAW brings you a classic large metal rolling tray with curved edges to hold all your gear while you roll. Coming in at 11 x 13.5 inches and 1.5 inches deep, you have a huge surface to work yet still easily fits in your lap. How much RAW can you fit on this fine tray? It holds dozens!